Big day! actually meeting with a realtor. Posted on August 11, 2015 May 25, 2016 Author Paul ThibodeauCategories House ProjectsLeave a comment on Big day! actually meeting with a realtor. Mike, Donna, Laurn and Erin came to visit on the tail end of their Alaska vacation. We took the bus to the Saturday Market (Susan bought a necklace & we bought a small pottery plate). 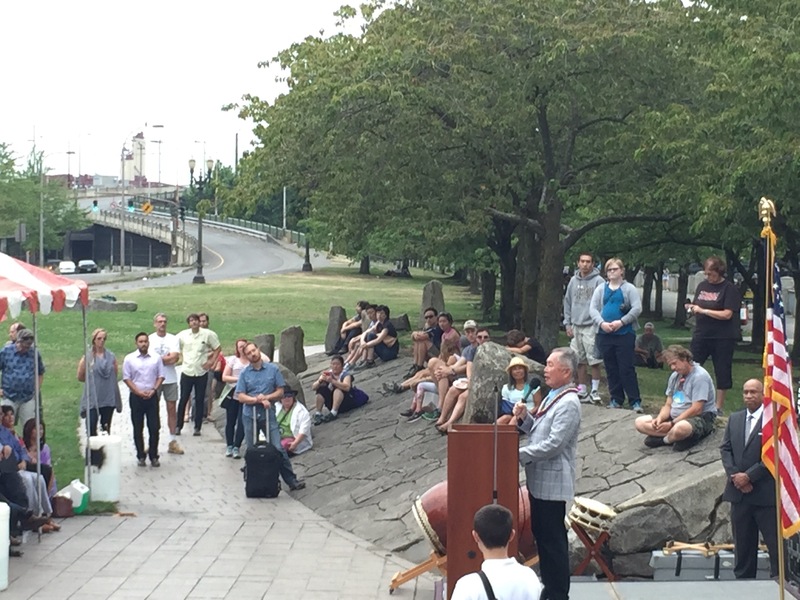 it just happened that it was also the 25th anniversary of the Portland Japanese memorial park. George Takie spoke about his memories living during the interment camps of ww2. After that, we headed back home to view photos from the Alaska Trip. of course a trip would not be complete without a trip to the waffle window, so we capped the evening with tasty treats! overall, a fun relaxing day. decides to get out of the heat and see a movie. off to see Ex Machina with beer and pizza.